Video artist Ursula Scherrer together with Shelley Hirsch (voice) and MV Carbon (cello and synthesizer) will stretch, pull, distort and expand the boundaries of image, sound and space to reach to that which is beyond. The poetic quality of Ursula Scherrer’s work reminds one of moving paintings, drawing the viewer into the images, leaving the viewer with their own stories. She transforms spaces and landscapes into serene, abstract portraits of rhythm, color and light – inner landscapes in the outside world where the images and actions have less to do with what we see then with the feeling they leave behind. Ursula Scherrer is a Swiss artist living in New York City. Her work has been shown in festivals, galleries and museums internationally. Her aesthetic training began with dance, transitioned to choreography and expanded to photography, video, text, mixed media and performance art. 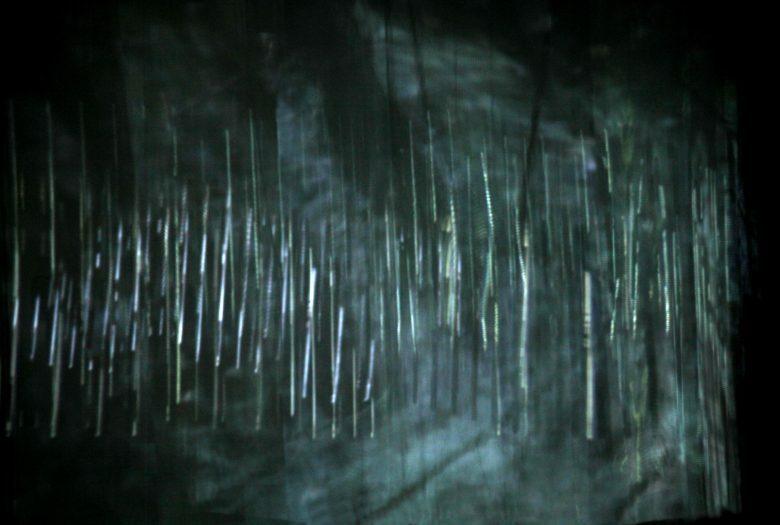 beyond, a video and sound performance by Ursula Scherrer with MV Carbon and Shelley Hirsch is part of Roulette’s Intermedia Performance Series, which explores the possibilities of technical and artistic improvisation. This project is supported in part by the Swiss Arts Council Pro Helvetia.